Penicillin is perhaps the most well-known member of a group of antibiotics called beta-lactams, which refers to a particular structure in their chemical makeup. The structure is also shared by semi-synthetic penicillin (amoxicillin), cephalosporins, and other antibiotics (such as imipenem). Penicillins and cephalosporins are the most commonly used antibiotics to treat common bacterial infections. Penicillins and cephalosporins are also the most common causes of drug allergy. About 10 percent of Americans report having an allergy to penicillin or a related antibiotic. While penicillin allergy most commonly occurs in young adults, reactions can occur at any age. Women appear to be at higher risk than men. Approximately 300 deaths can be attributed to penicillin allergy each year in the United States. 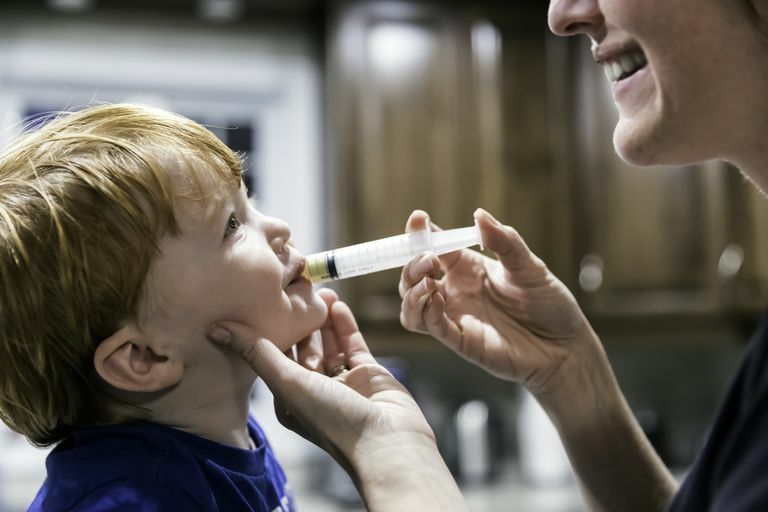 Symptoms of an allergic reaction to penicillin may include anaphylaxis, hives, below-the-skin swelling, asthma symptoms, as well as non-allergic symptoms such as serum sickness, certain forms of anemia, and other drug rashes. Imipenem may also cause allergic reactions in people with penicillin allergy and should be avoided. People with penicillin allergy are at higher risk of developing an allergy to sulfa antibiotics. While many people report having an allergy to penicillin, less than 10 percent of these actually have a true allergy to the drug. Some patients that have been labeled as "penicillin allergic" may in fact have experienced non-allergic reactions or side effects to the agent, such as gastrointestinal upset, headache, or nausea, and mistaken it for a true allergy. Furthermore, most people lose their penicillin allergy over time, even patients with a history of severe reactions, such as anaphylaxis. Skin testing is the best, most effective method for diagnosing a penicillin allergy. This extract, called Pre-Pen (benzylpenicilloyl polylysine injection) is the only FDA approved skin test for the diagnosis of penicillin allergy. Penicillin skin testing identifies the presence or absence of IgE antibodies to penicillin, information that will allow a healthcare provider to determine if penicillin or an alternative antibiotic should be given.Testing usually takes about one hour to complete. The skin is injected with weak solutions of the various preparations of penicillin and observed for a reaction. This may cause itching, although it is not painful. A positive skin reaction is indicated by an itchy, red bump that lasts about 30 minutes and then resolves. A positive test indicates that the person is truly allergic. People with a positive test should continue to avoid penicillins. It is important to identify who is truly allergic and who is now because patients who are labeled penicillin-allergic are more likely to receive broad-spectrum, very powerful antibiotics, which kill both good and bad bacteria and have more side effects than more tailored antibiotics. People labeled as allergic to penicillin are also more likely to develop certain difficult-to-treat resistant infections and require longer stays in hospitals, compared with patients who do not report a history of penicillin allergy. Other than the immediate treatment of drug allergy symptoms, the main treatment for penicillin allergy is avoidance of future use of penicillin and related antibiotics. Cephalosporins can cause allergic reactions in people with penicillin allergy. The overall rate of allergy to cephalosporins in people with penicillin allergy is approximately 5 percent to 10 percent, although rates may be higher for certain people. Allergic reactions to cephalosporins can be severe and even life-threatening; it is generally recommended that those allergic to penicillin avoid cephalosporins altogether. There may be certain cases, however, when a person with a history of penicillin allergy absolutely needs penicillin or cephalosporin. In these situations, an allergist can perform skin testing and, if negative, give the patient a small amount of the drug under close monitoring to determine how much–if any—he can tolerate (known as an oral challenge.) If a person who is truly allergic to penicillin has an infection that requires treatment with penicillin, a desensitization process can be performed in a hospital. This entails giving small amounts of the drug and gradually increasing doses over a number of hours until the person can tolerate a full therapeutic dose. If you have any concerns about whether or not you are allergic to penicillin or a related drug, ask your doctor about the possibility of being tested.